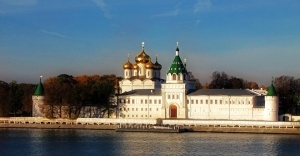 Tour of the Golden Ring, the soul and heart of Russia, visit Moscow, Suzdal, Vladimir and Sergiev Posad. 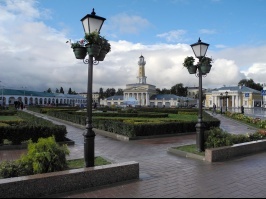 Traveling to Russia offers many exciting posibilities for those who are interested in large cultural centers as well as small historical towns where Russian history, customs and traditions can be explored at a slower pace and in a peaceful surrounding. This is what our Golden Ring Detour is all about. 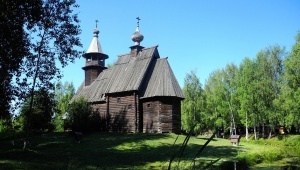 After breakfast transfer to Vladimir located on the river Klyazma, 200 km (124 miles) to the east of Moscow. 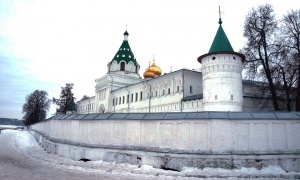 One of the medieval capitals of Russia, today modern Vladimir is part of the Golden Ring of the ancient Russian cities. Its three main monuments are on the UNESCO World Heritage List: the magnificient five-domed Assumption Cathedral, Cathedral of St. Demetrius and the Golden Gate. You will visit all three of them. 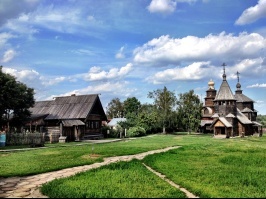 After Vladimir continue your driving tour to Sergiev Posad with a photo stop in Pereslavl Zalessky. Russian Cuisine lunch upon arrival followed by a tour of the Trinity Monastery of St. Sergius. 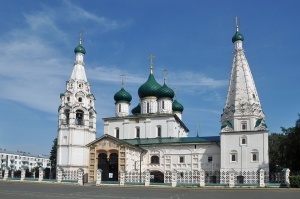 Sergiev Posad is one of Russia's most important religious and historic landmarks, a place of pilgrimage of the Russian Orthodox Church and one of the most interesting museums, where one may find the icons of Andrei Rublev and other famous masters of the 15th-18th centuries. You will be back in Moscow around 6pm. "Hi, Dora, our trip to Russia was very good. The main guide was excellent- understood what we wanted and was very accommodating, as was the driver. I didn’t have time to shop at the local market because we had to get to Sergiev Posad- if I had to do it over I would cut short a church and visit the shops, but not everyone would feel that way. Other than this, it was a very good trip, and I would recommend it to friends. The lunch at the local “house” was excellent, lots of fun, good food, relaxing, etc. The tours through the towns and churches very interesting- we learned a lot. The ride through the country side and seeing the buildings added to the trip. The guide and driver could answer all of our questions. Your suggestion to stay near the airport the last night worked very well. We would do it again, and would use your services if we travel there again.